If you are like technology-related information, please subscribe to the blog and don't forget to leaves comment. 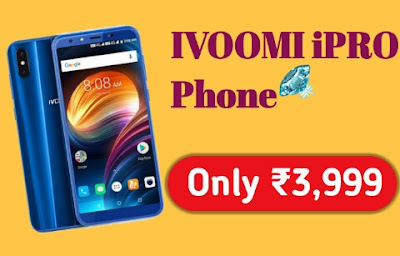 About-Best Smartphone Ivoomi: Hey guys welcome to another Super article, in this article I will come with good news, yes this good news for Android users are all going to tell all the visitors today about the best features of Ivoomi smartphone manufacturer. 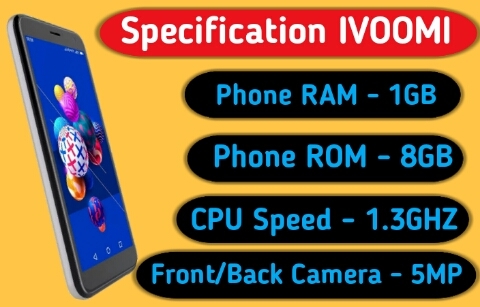 The smartphone maker Ivoomi launched the smartphone named Ivoomi I2 but the quality and performance of this phone Are not good, the smartphone maker Ivoomi i2 Has brought a brand new Ivoomi Ipro model into the smartphone market. The quality and performance of this phone are very good even if it has left the Redmi phone behind. Best Smartphone Ivoomi Feature:- This smartphone has been given the 4.95inch FWGA full display of Ivoomi Ipro. The screen of this mobile phone is 480 * 960 pixels. This smartphone is OS version 8.1. 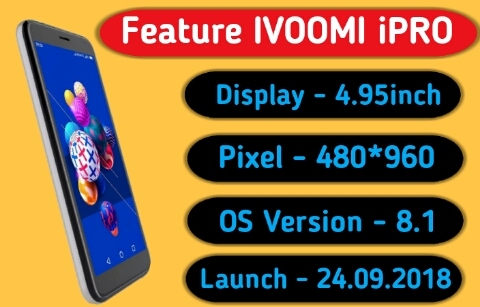 The Ivoomi Ipro smartphone's launched date was 24.09.2018. 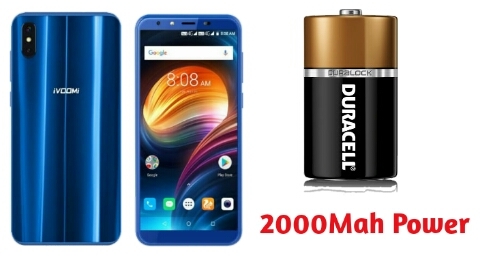 Best Smartphone Ivoomi Battery life:- Smartphone manufacturer Ivoomi new smartphone Ivoomi Ipro battery has been given 2000MAH. The battery of this smartphone backs up to 50 hours. Best Smartphone Ivoomi specifications:- Smartphone maker company Ivoomi is the new smartphone Ivoomi Ipro's RAM 1GB. This smartphone protects the problem of hanging the smartphone. The CPU speed of this smartphone is 1.3GHz. The total weight of the Ivoomi smartphone is 140 grams. This phone has a ROM of 8GB, in which the memory card will not be required to collect data. This phone has a front and back camera of 5 megapixels. Hey, guys If you want to buy this best android phone please click given under a link.